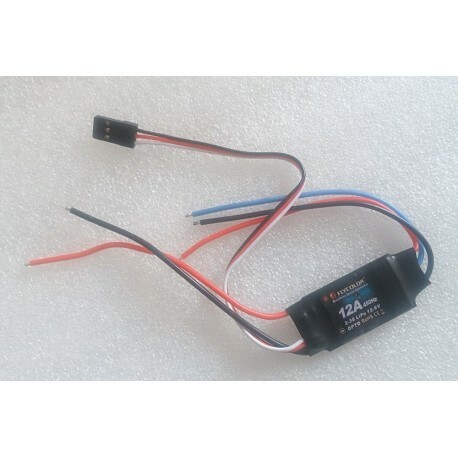 ESC FlyColor 12A 2-3S OPTO rev counter - Actuna Sp. z o.o. Over time, FlyColor controllers are gaining more and more popularity among users and higher and higher grades. Specially designed for multirotor models - the regulator immediately responds to the throttle change !! among users and higher and higher ratings. - the regulator responds immediately to the throttle change !! Optimized software ensures perfect compatibility with brushless motors. are easy to use, very intelligent and easy to adapt. Base frequency supported - 450 Hz - recommended. Depending on your flight controller you can operate the frequency up to 600 Hz! - they give high efficiency and high current strength. Withstand temperatures of up to 100 degrees Celsius! Throttle range adjustment, compatible with different receivers.